When you drop your car off for service, you leave with the assumption that the car will stay at the dealership, and not be "borrowed" by one of the technicians. One Canadian Audi owner had his car "missing" from the dealership and would not get an answer until the cops were called. 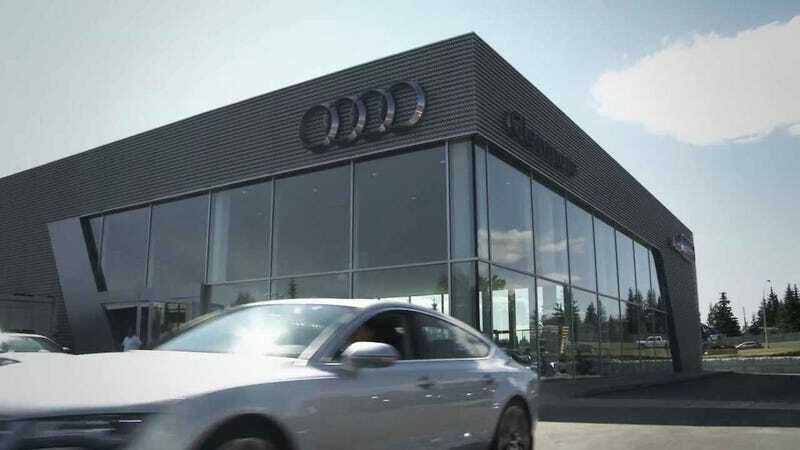 According to a report on CBCNews a Chris Jackson took his Audi S4 to Glenmore Audi in Calgary for service. He had to return to the dealership because he forgot something in his car, he became concerned when he was unable to find his car on the lot and no one seemed to know where it was. The dealer said the car was probably on the lot somewhere and that Jackson should go home and not worry. After searching the entire lot three times, Jackson demanded to see his car. "So I went back in and the dealer said again, 'You just need to go home.' And I said, 'No, no, I need to find my car. I need to know where my car is." That is when Jackson decided to call the police and report his car stolen. "They started calling their mechanics, and finally one of the mechanics answered and said that, 'Yeah I have the car at home.' And he'd taken the car home for the weekend," he said. "So once they heard the police were involved they started calling these guys." The dealership apologized and claimed that the mechanic needed to take the car for an extended period of time to "test the navigation system." Jackson says that the dealer never notified him that someone would have to take the car away from the dealer for that long. Now Jackson feels uneasy about returning to the dealership for service, but says his lease agreement stipulates that he take the car to Glenmore Audi. He is currently in contact with Audi Canada to resolve the issue.